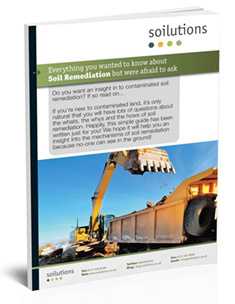 Be Prepared When Buying Contaminated Land. We’ve highlighted a few things which we recommend that you consider when buying contaminated land. Find out all you can regarding contamination on the site and what the implications of the contamination are. Some contaminated sites may legally have to be remediated. If you’re redeveloping the site then you should expect that there will be planning conditions relating to contamination, all of which will undoubtedly have costs associated with them. If your target acquisition is contaminated, identify if you will be buying the environmental liabilities. Get a remedial options appraisal which will help you understand the options available and the cost, time frames and risks of those options. We recommend using an independent expert to carry this out (of course). Identify if there are any financial incentives for remediating the site. This post on 150% tax relief on qualifying expenditure may help. Once you have all the costs, negotiate a discount on the acquisition price. We know of one company who negotiated a 10% reduction in the acquisition of another major UK company based on unknown environmental liabilities. They’ve since spent the time identifying and remediating those sites using the most cost effective but long term treatment strategies at a proportion of that discount. As always we are here to talk so please do not hesitate to contact us with any questions. Phone us on 0800 0209 307, or e-mail us at info@soilutions.co.uk.